The other night, as I left to pick my daughter up for school, I couldn’t help but notice that the sky was aglow. So, I grabbed my camera and headed outside. 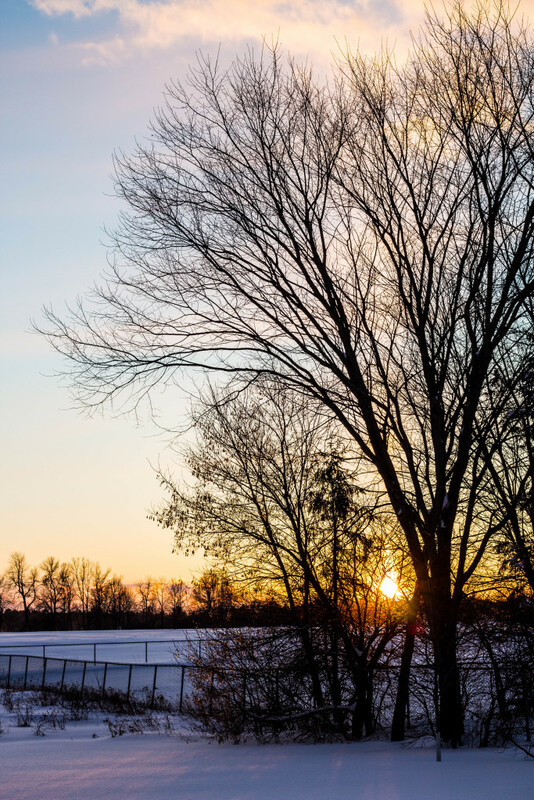 As I got closer to the clearing near my house, that provides a perfect view of the sunset, I noticed that there was an incredible phenomena happening. I took pictures of it and, after picking my daughter up, headed back home to see what it was called. A vertical shaft of light extending upward or downward from the sun. 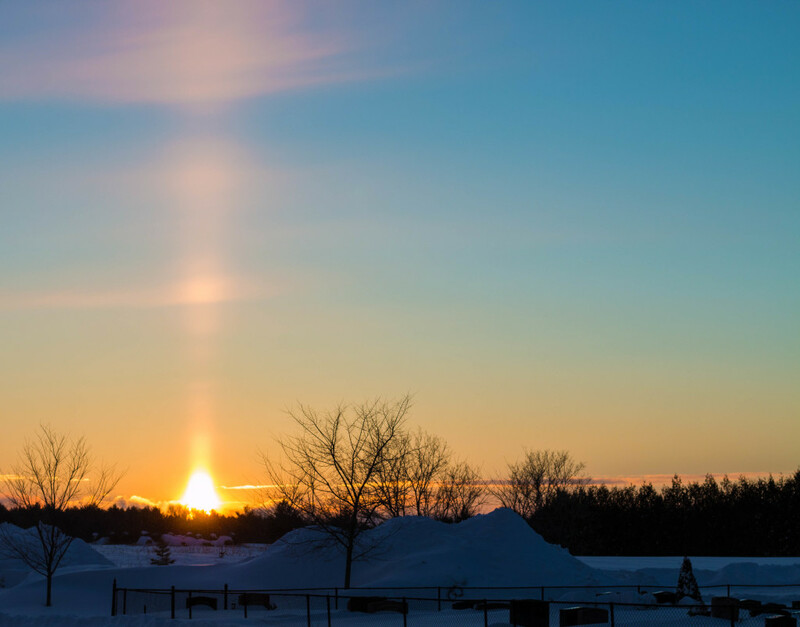 Typically seen during sunrise or sunset, sun pillars form when sunlight reflects off the surfaces of falling ice crystals associated with thin, high-level clouds (like cirrostratus clouds). Amazing. What I know to be true is that the impact was felt — absolutely gorgeous. ← previous A Cold, Crisp Night in Downtown Ottawa and... Beavertails!